Arthur’s Seat is a jagged, grassy hill, rising up from the urban sprawl, a reminder of the now-extinct volcano, its last eruption was 350 million years ago. No one really knows why it is called Arthur’s Seat, although believe it is a connection between Edinburgh and King Arthur. There are five suggested routes in the park, suitable for a range of abilities. We recommend the red route, it takes around 2 hours and there is a path all the way to the summit and it’s not too steep. 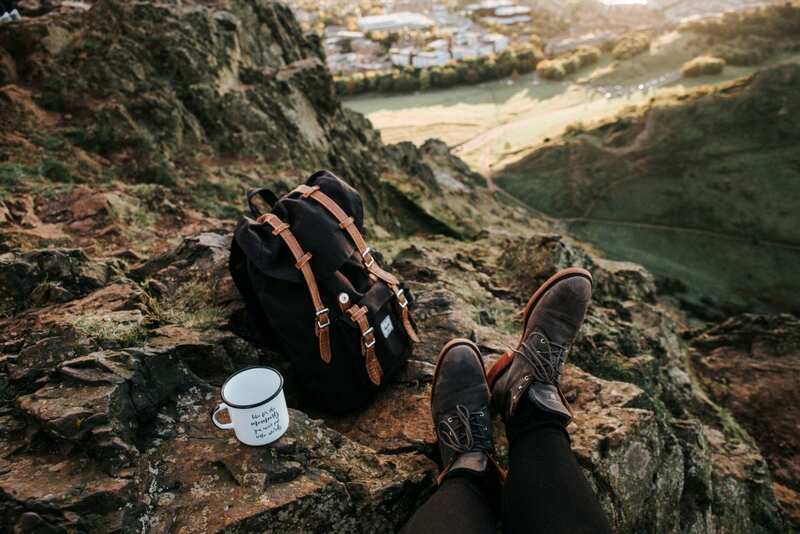 You will be rewarded with fantastic panoramic views of the city at the top and again on the way back along the base of Salisbury Crags, with great views of the Castle rock and the centre of Edinburgh.